Facilities managers face many recurring, routine decisions that are necessary, but can have enormous cost and efficiency impacts. In order to make smarter and more responsive FM decisions going forward, leverage past decision data. 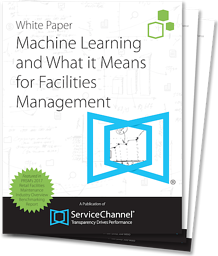 In this white paper, learn how innovative AI & Machine Learning technologies can be deployed in FM programs to make smarter, faster decisions that reduce expenses and improve quality of service.